Nothing written in this thread is a direct quote unless it is direct quotes. … there have been suspensions or other reasons to get a temp in. Henry Warwick (HW) asking how much MLS would tell a temp about the situation they are taking over - how much they would tell them about a suspension and the reasons for it. HW you introduce yourself you tell them what you do - in your WS you say - if an incumbent SPM is happy about a temp coming in… what does that mean? HW you’re effectively warning them that if they don’t accept this temp, then what? HW asking about the deal between the temp, SPM and the PO when a temp comes in. querying MLS’s evidence when set against Mr Breeden’s [also from the PO] on Monday. J- let’s say Mrs Smith is suspended and the temp and Mrs S agree the temp will pay her £200pw to use the premises. The PO is ffectively kept open by the temp. After 2 month it’s found Mrs S shouldn’t have been suspended. The PO will pay her 2 months remunertation. Correct? J - so you don’t know if that £200pw is deducted or not? MLS - no, don’t know. HW were you aware of this when you wrote your WS? HW you’re not aware now, but youwere when you wrote your WS? MLS don’t know what you mean. HW just to be clear, so I don’t have it wrong. MLS incumbent SPM isn’t paid and the temp one is paid. MLS I wrote it. I know it. HW okay I am going to ask you a question about policy - it says here [doc] the SPM is paid not the temp and the SPM pays the temp. Is that wrong? HW asking MLS how he selects potential temps - you have a list. HW how many times do you have to put in a temp per year. Last year it was 10 -15 per month. This year it’s increased. At the moment I’m doing about 20 a month. New Rose, Potent and AN Other I missed. … dealing with the agencies. The agencies seem to do a lot of the heavy lifting. MLS gives the terms available to the temp and info about the branch and the agencies find them on those terms. … they might offer a higher rate. HW Sometimes more than the incumbent. HW now talking about a PO document which state's temp’s right toexclusive use of the counter - is it right that the temp should have exclusive use of the branch? HW Mr Shields I am going to suggest to you this is an SPM has no real choice. You’ve told them their branch might shut, they don’t get a choice of temp and the remuneration has already been set. HW turns to Pam Stubbs [lead claimant]. PO doc in which a PO employee notes that he thinks the branch should be closed. It is dated a day before the audit. And it is about finding a temp to run the branch which will help PO prove the problems are down to PS not Horizon. HW notes doc which asks temp SPM to do cash variance balances at Pam Stubbs branch. You were asked about policy that gives PO a written copy of agreement between temp and SPM. You said you don’t get it. MLS sometimes an assistant might be appointed as a temp and so they need to know a lot about their change in status and liability - they might not know they won’t be an employee or liable for losses - it’s not uncommon for people to say it’s not for me. This morning Jo Hamilton and Seema Misra told me EL was CA for them. She also appears to have been CA for Mr Abdulla. Mr Cavender QC for the PO is raising a point about Mr Abdulla’s evidence. Mr Abdulla was adamant Ms Adams and Ms Stevens were the same person. Mr Cavender has shown EL two different HR records and asked if they are the same person. EL says they most certainly are not. Patrick Green QC for the claimants is on his feet. Wants to ask EL about what she said a few minutes ago to Mr Cavender. About her recollection of interviewing with Mr Abdulla. anything about what was actually said in the interview. QC can you remember what was on the interview checklist? QC did you discuss scale of discrepancies? QC Mr Abdulla is adamant you didn’t. Is it possible you didn’t? QC taking through evidence of what EL says she would have said and what Mr Abdulla remembers what she did and din’t say. Some tally, some are neutral and there is some disagreement over what was said. EL’s WS says she has been shown two different checklists and she has adduced her recollection of Mr A’s interview from the checklist she was provided. … and that that didn’t change. She had her old checklist. QC notes her colleague Brian Trotter has a checklist which he uses to show what he has discussed with claimant. … interview. That came in in 2008 didn’t it? EL I don’t remember when it came in. QC reads her a document about the change of policy. Do you remember that? Goes back to Brian Trotter’s electronic record of Louise Dar’s iv. QC this is very different from 2006 when Mr Abdulla was interviewed. QC letter to EL asking interviewe MR A using “standard interview pack"
EL says that is what she was working to and a different sheet she no longer has which gave her points together. QC goes to letter 9 Nov 2006 inviting Mr A to interview. QC letter says he will be asked to demonstrate skills experience etc you will be expected to talk through your business plan and finance arrangement and you will be required to bring your business plan with yo. And this was a standard letter? QC but they’re not told to bring it to discuss it are they? QC but there’s not mention of the terms. They’ haven’t seen the contract yet. EL no my understanding was that in those days it would be kept in branch. We are having a 10 minute break for the stenographers fingers. 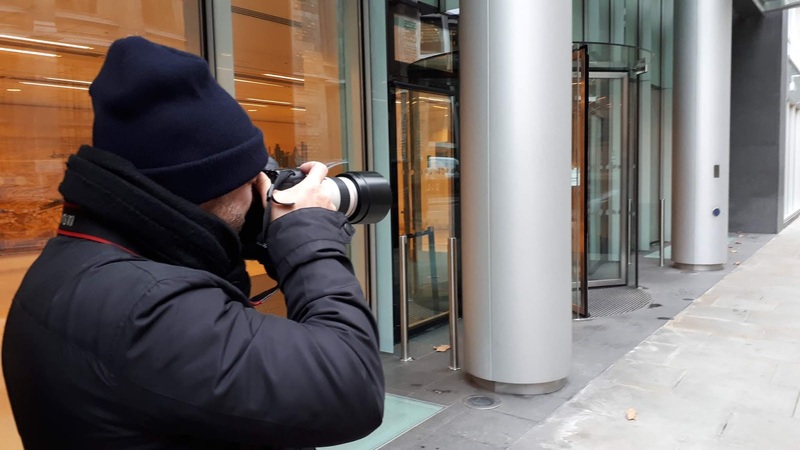 Whilst we are having a break, could I ask you to have a look at this - it is a blog post about yesterday’s evidence implicating Paula Vennells, post office CEO in this story. I honestly think this is the most important document I’ve seen in a while. Right we’re back. Elaine Ridge (EL), Post Office Contracts Advisor in the box. Patrick Green QC for the claimants cross-examining. In one post-interview document EL records Mr A felt there was a partnership between PO and his business, but expressed concern if there were any conflict of interest. QC now he didn’t mean a legal partnership? QC now drilling into exactly what was discussed. You understand there was a big difference between needing to improve the lighting and directing him towards the modified terms of the SPM contract. EL the contract was quite a big thing for him to read, I think. "It would have put him off straight away!" There are 14 documents in the interview file. EL has been shown almost all of them. QC it’s not the case that Mr A’s file has been lost, is it? EL no I didn’t I say that. I said I have used this checklist, but not for Mr A.
QC it’s dated 2012. it’s the one Mr Breeden said he has used. QC goes back to internal PO doc. if they don’t state in the biz plan (BP) how many hours they expect to work, you have to ask them about it in the interview. … quite similar to employment. QC i’ll just ask you. QC your understanding was that there was an obligation a contractual obligation to notify the PO if the SPM was going to be away from the branch for more than 3 days. QC for the purposes of statutory sick pay the law treated SPMs as employees. QC shows the document which proves this. I think you’ve very fairly accepted that this is very close to employment. EL yes. But it’s not. QC now going to Mr Abdulla’s suspension. YOu dealt with that didn’t you? QC notes suspension document and decision to bring temp in. Was that an internal decision? Mr Abdulla was out of the country when he was suspended. QC is going through letters to and from him, including one which mentions the possibility of summary termination of his contract. Letter accusing him of false account after accepting TCs and not making them good. Misuse of post office services. QC notes figure of £1092, then -£1092, then a month later £1092 and there’s another £1092 back in May, none of which are linked to a reason, whereas other TCs are. Why? QC this spreadsheet gives a bit more detail on them and shows that Mr A is getting £1092 TCs month after month after month with the PO accepting at least once has been sent in error. This would have been useful to you, wouldn’t it? QC if you had this info at the time you could have investigated what had happened? QC it’s odd, isn’t it? QC now this info really would have helped wouldn’t it? QC which he didn’t really owe! EL yes - on the information I had available to me at the time. Part of Mr A’s appeal was that no proper investigation into what had happened in his branch. QC did you request any info from Horizon any ARQ data? QC quite serious what is happening to people here - an effect on their investment. Why weren’t they allowed to have a lawyer with them? QC Even when they were accused of false accounting? QC even tho what he says to you in this interview can be relied upon by another team down the line. PO QC asks here to read 12:12 of the contract in full and says would she have discussed this with Mr Abdulla? PO QC says you were told it was a contractual obligation to give 18 hours service, but the figure was more of an indication, is that right? PO QC did you say thre was an agreement to work 18 hours a week? J - what is your understanding of “the mutilated notes”. J asks about EL asking about the £1K missing in the lottery stock unit - he is interested in EL’s exploring of the missing £1092 in the Mr A interview. You say “there is no TC for that” and there is debate between you. … the two till rolls? J says the excel spreadsheet that Mr Green put to you makes it look like there are 4x £1092 entries - one negative and three positive. EL i remember the spreadsheet but not every entry. J let’s have a look. 57 says this TC is for lottery sales £1092, 61 £1092, row 63 £1092 and row 65 £1092 has the apology connected to it. Given you didn’t have the spreadsheet, all you could go off was the till rolls. J but the four entries are still on there. with no supporting info. If this was the only info you had are you confident you had enough information to explore the charges against him with him. PO QC back on his feet after judge’s qs. Askin EL to explain a bit more to the judge as to what she was looking for. EL Mr A implied he accepted a TC after he last rolled over. but I couldn’t find one. PO QC and if he had done that it would have reduced the loss? Elaine Ridge leaves the witness box. David Longbottom in the witness box now. Bald early fifties, black suit, striped tie. Sworn in. He has a loud voice, thank goodness. Mr Longbottom is a Training and Audit Advisor for the Post Office. Looks like we are going to be talking about the audit of Liz Stockdale (14 years ago). Patrick Green QC asks - would it be fair you are more likely to remember audits that were unusual? DL is being shown a letter in which he is complimented by an SPM on his audit. QC Mrs Golding has 4 branches - you audited it about a year and a half ago. can you remember it? DL I don’t think this was an audit. I think this was an intervention visit. It’s not normal for an SPM to have to have an audit. QC the word audit might not be right. it’s what she called it. What can you remember anything of that visit? … they were having some dfficulty producing their accounts I would go along - chat with them beforehand etc. An audit would be unannounced. It’s a support visit. from memory we would have produced numerous transaction logs on the till roll. Lunch break. Am going to reboot computer as it is on its afternoon go slow. Anyone know why tweetdeck just gets slower and slower as the day goes on? Cache-ing? We’re back. David Longbottom, Post Office auditor in the stand. Before lunch the judge pointedly noted that DL had given a 3 page answer to a short question. Things might be snappier here on in. QC now going to Liz Stockdale’s transfer audit. LS is a lead claimant. DL’s WS accepts he doesn’t remember a huge amount about it and QC is going into this. QC context of LS transfer was that the outgoing SPM had been waiting quite a while for this to happen. QC notes letter to outgoing SPM and LS saying that the handover date in the contract HAS to be agreed by all parties. Were you aware of this? DL no - not my area. QC shows DL doc advising incoming SPM of possible delays to opening due to many different circs. Judge wants the QC to hurry up and make the point. QC was this the date that popped up in your diary? DL the date that popped up would have been the opening audit? QC is it not the same day as the transfer audit? You cou;dn’t do a transfer audit without the Horizon kit being installed could you? DL yes we could do it on the old kit in the old branch with the stock that was there. QC you wouldn’t get involved? which confirms they surrender all their paperwork? DL … is my understanding. I don’t know for sure. QC points out documents which are missing from this handover. DL KC would have signed all she needed to sign when her PO closed. QC what then, were you making her sign? emphasis? a flourish? DL don’t know - it’s just something we’ve always done. QC asks about the summary of terms that Mr Sabir was asked to sign - what was your understanding of this? What would you say to SPMs about this document? QC we have a document which expresses doubt on behalf of auditors that some SPMs understand the terms on which they have been engaged. Was that consistent with your experience? QC did you have any doubts about..
… SPMs understanding of their contractual obligations? QC if an SPM asked you about the terms of a document you were asking them to sign, could you have told them? DL no not unless I was sure I understood it. I wouldn’t want to give them advice. QC I was going to ask you if you know why one of the docs you were handing over under a standard agreement or modified agreement should be different? DL I wouldn’t know - it’s not my area. Judge asks how many documents outgoing and incoming SPMS need to be signed in all on a normal transfer day. Michael Webb about to be sworn in. Bit of a silver fox is Mr Webb. Early or mid-60s. He is a Training and Audit Advisor for the Post Office. Kathleen Donnelly is asking questions for the claimants. Says he has done hundreds of audits - mainly investigating audits. DL depends - can be most relaxed of the audits you do. DL I would imagine it is, yeah. KD so when your initials are first, you lead them? Sorry - I’ve been DLing Michael Webb. Tired. KD draws MW back to 2006 and Mr Mohammad Sabir (lead claimant). MW not speculating - based on experience. It was very run of the mill, nothing remarkable. KD what you’re saying is I can’t remember anything about it therefor nothing unusual must have happened. KD why don’t you refer to them in your WS? KD are you sure you read Mr Sabir’s transfer audit? MW well I think so, I must have done. it was in the paperwork we were given to look at. KD takes him to the documentation around this audit. Showing him checklists in transfer pack going to Mr Sabir’s predecessor Mr Rooney. KD takes him to letter sent to Mr Sabir. asks why all transfer docs Mr Sabir had to sign were sent to Mr Rooney. KD so Mr Sabir couldn’t have seen the docs sent to Mr Rooney? KD so your job is to identify the document. KD brings up MW’s witness statement in which he says how many audits he’s done. He says he would be very clear about what each document was and what they meant. KD so if asked what would you say a Post Instruction was? KD so you didn’t know what it was? KD brings up 40 page document. what if you were asked about that? KD does the SPM have any choice but to sign them? MW not its very much a formality to seal all the legalities. PO QC re-examines and makes clear there are only 6 or 7 different for incoming SPMs to sign. As there are duplicates for signing. Michael Webb is done and dusted in record time for a witness in this trial. We also have no further witnesses today. QCs think they might have an enthusiastic idea of what will be the subject of Trial 3 when we know the judgement of this one. Basically the QCs want the trial in September 2019 and the judge wants it in June 2019. Judge making the point that trying common issues and Horizon is not trying the claims. And he has a responsibility to get a resolution on those claims for the claimants as soon as possible. Judge says he’s not going to make an order on this today. PG QC wants a case-management date in Jan after this trial’s ruling and says it will have a massive bearing on what T3 is if needed at all. PO QC has now on his feet. Says the right claimants for part 3 is essential and based on the issues that are agreed are problems. you are presenting it to me is that the earliest any of these claims will be resolved is in 2020. That’s not good enough. The way that PO QC is playing this, it’s going to turn into Jarndyce vs Jarndyce. J asking PO QC if it is his position that T3 cannot possibly be heard before 2020. PO QC yes, unless you try a couple of the Lead Claimants from this trial. PO QC suggesting that not only could T3 not start till 2020, it might last a year. JFSA QC on his feet. Not June - not 2020. Claimants would prefer autumn 2019. Late October. JFSA think 2020 is too long. J it is my job to manage litigation. This case is already old and I am going to resolve it. We will revisit this at the end of Monday. J their head round why this case cannot be resolved in less than a period of years. J I am minded order T3 for October 2019 and put you on notice that unless there are very good reasons not to that is when it will happen. This will be discussed again after the final 3 PO witnesses on Monday. Okay we’re done. Judge has risen. This is what happens when there is little or no media involvement in a story. It drags on for decades. I am not blaming anyone for this (certainly not the media). It is just an observation. And with that. I’m done. A full chronology of these tweets will be up on postofficetrial.comshortly then a match report later. If you enjoyed this pls punt a few quid into the tip jar on the website. £20 donations get the secret emails! Thanks. Thank you very much for reading this. 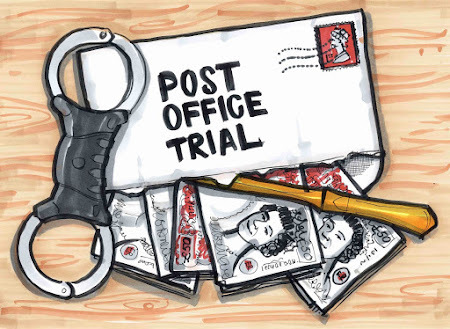 Feel free to forward this email to people who you think might be interested in this story, or better still, get them to go to www.PostOfficeTrial.comwhere they can sign up to get their own emails for free.